Henry Ford Hospital President and CEO Dr. John Popovich, Jr. interviews Dr. Tamer Ghanem in the third edition of “Interviews in Front of the Living Wall: Legends Interviews.” In this segment, Dr. Ghanem, Henry Ford Hospital head and neck surgeon discusses current and future practices in head and neck reconstructive surgery, cancer treatment and more. Henry Ford Hospital President and CEO Dr. John Popovich, Jr. interviews Dr. Stephan Mayer in the second edition of “Interviews in Front of the Living Wall: Legends Interviews.” In this segment, Dr. Mayer, Chairman of the Henry Ford Health System Department of Neurology, discusses advances in stroke treatment and other advances in neurology. Hospital ethics committees got their start in the early 1980s to guide decision making with patient care issues. Policy establishment was critical, especially when the issues of limitation of care, self-determination for health care, and privacy were venturing into nightly newscasts and private conversations. 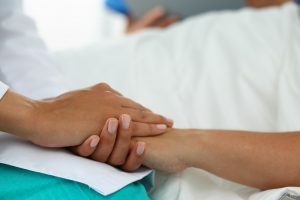 In the era of Dr. Jack Kevorkian, definitions of medical futility, legal battles over treatment decisions, and other high visibility events made the work of these committees even more important. Dr. Fred Whitehouse and I co-chaired an ad hoc committee to create the first Henry Ford Hospital (HFH) Ethics Committee over 30 years ago. Our corporate attorney John Mucha was part of the committee at its inception. We were recently talking about this work, and he noted the HFH policy on withdrawal of care, modeled loosely on a Massachusetts General Hospital policy, is a policy that withstood the test of time. Literally hundreds of difficult decisions were made with its guidance. Henry Ford Hospital President and CEO Dr. John Popovich, Jr. launches a new chapter in the Interviews in Front of the Living Wall series with the Legends Interviews. In this segment, Dr. Popovich interviews Dr. Mani Menon, Chairman of the Henry Ford Hospital Department of Urology and Director of the Vattikuti Urology Institute. Dr. Menon discusses the minimally invasive surgical procedure he developed that treats prostate cancer utilizing robotic technology and other innovations in prostate surgery. the plunging of a body into a liquid. the use of the microscope with the object and object glass both covered with a liquid. a state of being deeply involved in something. 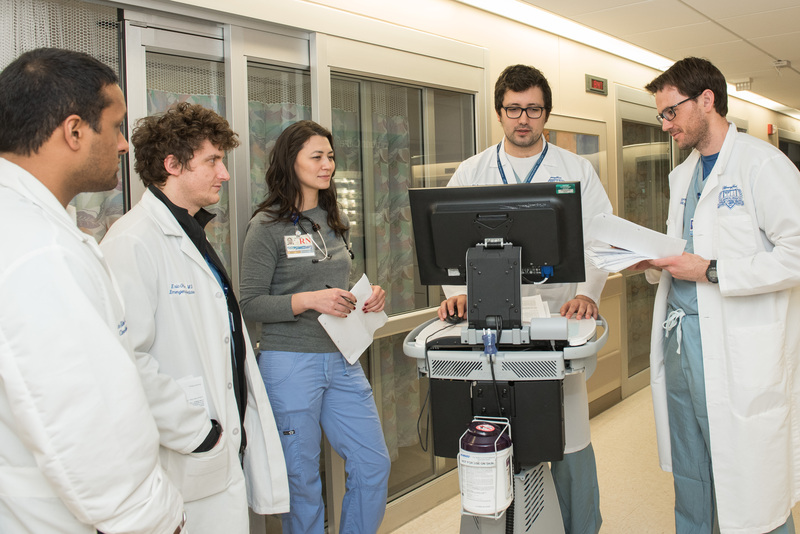 HFH multidisciplinary team during rounds. A popular approach to gaining exposure and understanding of health care is immersion. These experiences generally take an individual who has passing or limited direct health care knowledge and place them in situations or environments where they can get some understanding of this world. A world that those of us in the trenches live each day, but others find foreign. Foreign sights, sounds, smells, language and actions. A foreign business model, foreign processes. This is the tip of the spear of health care, and to understand health care one needs to have an unimpeded view of how care is delivered and the reality of modern health care. I am sure you have heard the news by now. Much thought, perhaps speculation, that the announcement would be as had been anticipated. Yes, you know what I am referring to. No, wait, that was for another post. 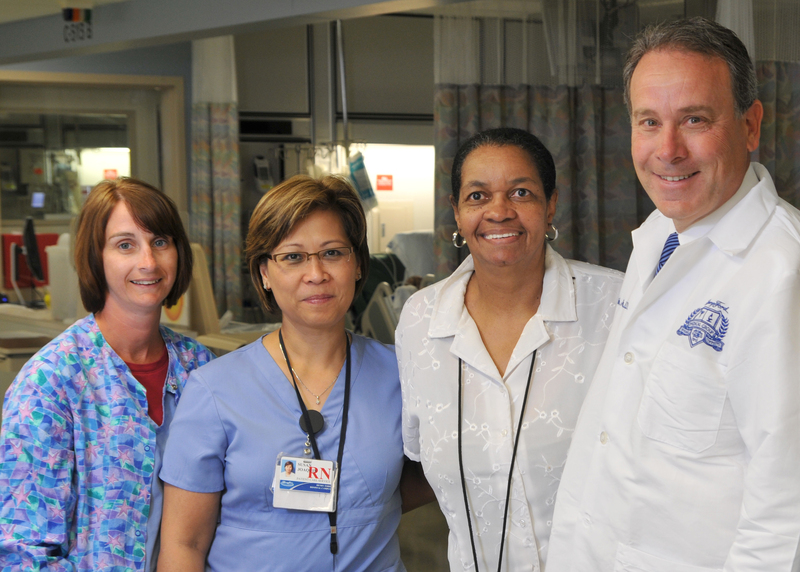 In the third and final segment of “Faces Around Henry Ford Hospital – The Lightening Round,” hospital President and CEO Dr. John Popovich, Jr. asks physician and staff to identify people who work for the hospital and health system. This edition includes a few surprises. Enjoy! The “Faces around Henry Ford Hospital” segments were filmed during a food truck rally on the hospital’s grounds. To view past videos, click the “Employees” tag at the bottom of this post. In Part 2 of “Faces Around Henry Ford Hospital,” Doc in the D also known as Henry Ford Hospital President and CEO Dr. John Popovich, Jr. interviewed physicians and staff to see if they really know who their co-workers are. We hope you enjoy this segment! Canadian nurses, Canadian employees, Canadian patients, the maple leaf, “O Canada,” Canadian bacon, Canada Dry ginger ale. This Doc in the D edition features Henry Ford Hospital President and CEO Dr. John Popovich, Jr. interviewing physicians and staff to see if they really know who their co-workers and System leaders are. How do you measure up?